Baltimore City may be known as Charm City, but the county that shares its name has charm of its own. Spend some time in Catonsville and Dundalk, then head north through Hunt Valley and up to Parkton. Along the way, you’ll find no shortage of craft breweries, local wineries, and crabs, crabs, crabs— in bushels, cakes or ordered by mail. Catonsville, just west of Baltimore City, is perhaps best known for the 1968 protest by the Catonsville Nine, a group of Catholic activists who protested the Vietnam War by burning draft records. More recently, it has been proclaimed “Music City, Maryland,” primarily because of the large concentration of music retail stores and venues. 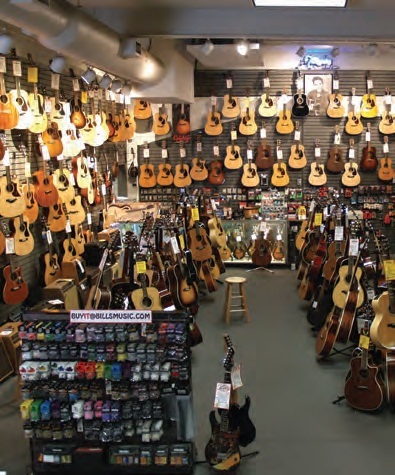 You will want to check out the ever-popular Bill’s Music, Appalachian Bluegrass Shoppe, Guitar Exchange, Baltimore Brass Company and The Piano Man. If you are more of a listener than a player, enjoy a performance at the Lurman Woodland Theatre, which offers free concerts during summer weekends, or check out Frederick Road Fridays, for its free summer concerts every Friday night. There are plenty of options for dinner in Catonsville, but a few local favorites include Catonsville Gourmet, featuring fresh seafood prepared by chef Rob Rehmert, plus raw and sushi bars; Duesenberg’s American Cafe and Grill; and Franco’s Italian Bistro. Catonsville’s popular farmers markets are held on Wednesdays and Saturdays. The town’s fall Arts and Crafts Festival is moving to Catonsville Community College for its 45th year. 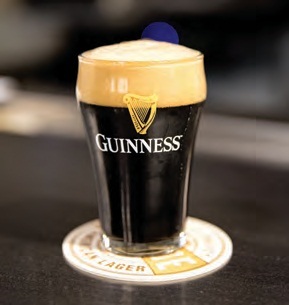 Take a short side trip to the taproom at Heavy Seas Brewing in nearby Halethorpe and then stop by the Guinness Open Gate Brewery and Barrell House, which opened in early 2018. 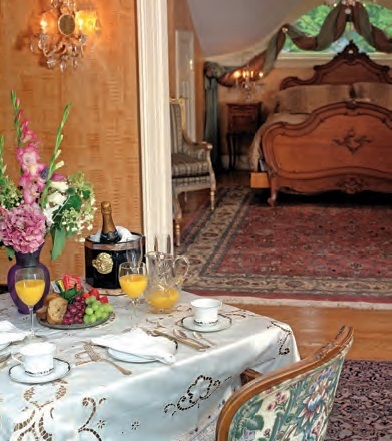 If all that has you hankering for a snooze, plan a stay at the historic Wilderness B&B, a Victorian-era summer mansion nestled in the woods of the Patapsco Valley State Park. 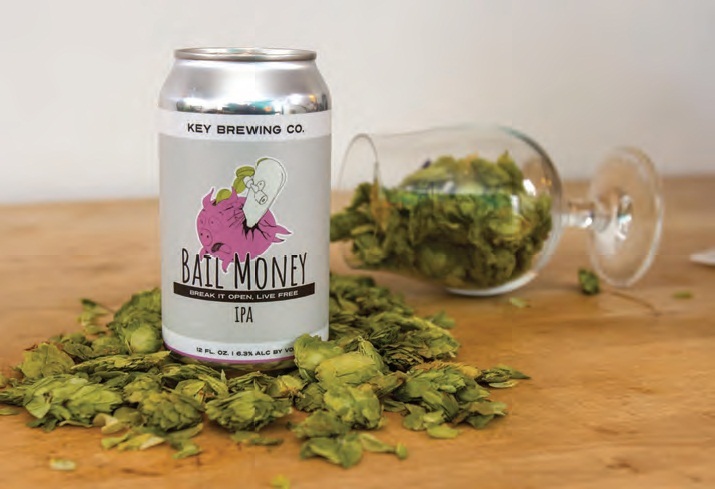 From Catonsville, take a quick trip east of Baltimore City to Key Brewing, Dundalk’s only brewery, opened in August of 2015. Named after Baltimore’s Francis Scott Key, the beers can be found in more than 150 area restaurants and bars. Several restaurants in southeast Baltimore County have options for boat to dock dining. The Island View Waterfront Cafe in Essex opened 90 years ago as a dance hall and tavern, and the Laing family has owned and operated it for the past 50 years. It’s a simple menu, but the waterfront views are spectacular. 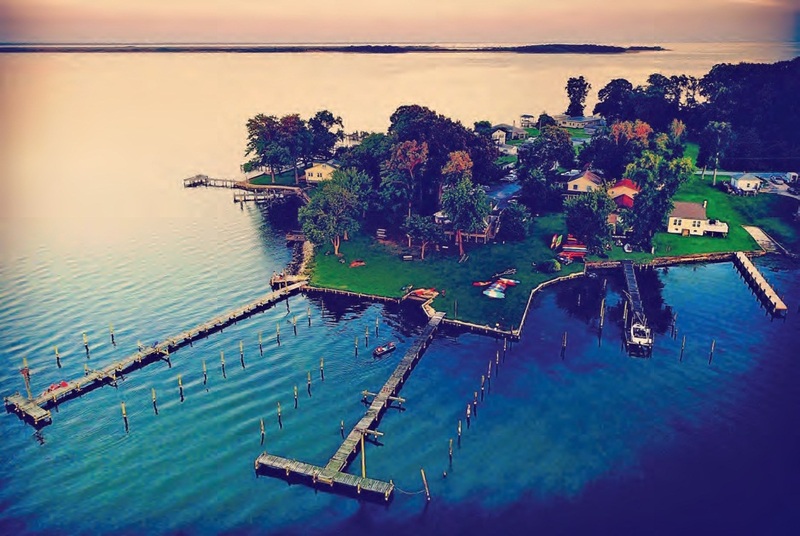 Between Dundalk, Edgemere, and Essex you can find a wide variety of restaurants featuring seafood and crabs, many with water views. There’s also the family-owned Pappas Seafood Company, with sit-down locations in Cockeysville, Glen Burnie and Parkville—where the seafood market also offers crabs by the bushel to steam at home. Farther north, pack a picnic and visit Gunpowder Park or the Dundee Natural Environment Area. 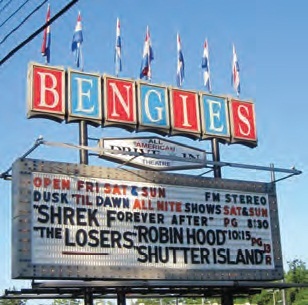 You might want to end your evening at the retro Bengie’s Drive-in Theatre, which claims to have the largest movie screen in the U.S. 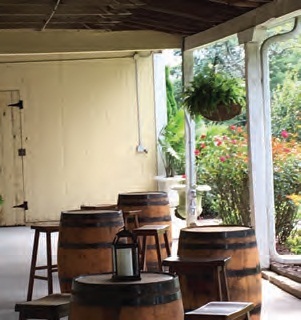 Heading north toward Hunt Valley, schedule a few pit stops, including the DuClaw and White Marsh Brewing Co. followed by two wineries that are a part of the Piedmont Wine Trail, Boordy Vineyards and DeJon Vineyard. Up the road, stop in Phoenix to shop at Beaumont Pottery, where you can purchase beautiful hand-glazed treasures. In Hunt Valley, be prepared to be awestruck by B.C. Brewery’s huge tap room, including a self-serve wall of taps. 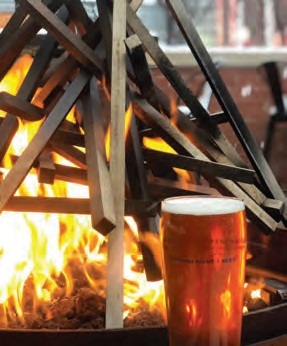 For something a little more rustic, hop on over to Monkton and visit Baltimore County’s first farm brewery, Inverness, where the hops are growing, and the beer is flowing. If all that tasting has worked up your appetite, Andy Nelson’s Southern Pit BBQ is an all-time local favorite, decorated with memorabilia from the founder’s years playing with the Colts. His Catfish Friday is a true Cockeysville tradition. On the more upscale side, Milton Inn in Sparks and the Oregon Grille are good bets. The Pennsylvania Dutch Market in Cockeysville has 20 different shops that sell everything from baked goods to meats, produce to peanuts, garden sheds and outdoor furniture, candles and toys. Check hours before heading over. To round out your adventure, be sure to check more wineries: Basignani, Harmony and Royal Rabbit. B.C. Brewery baltcountybrewing.com, Hunt Valley l Who doesn’t love a beer debit card and a self-serve wall of taps? Basignani basignani.com, Sparks l With vines dating back to 1974 and an Italian tradition dating back even further, Bertero Basignani’s winery produces more than 6,500 gallons of wine each year. Boordy Vineyards boordy.com, Hydes l Visit Boordy’s tasting room, a rustic 19th-century barn and feel the legacy of this historical farm. DuClaw Brewing Company duclaw.com, Rosedale l Serving some of the most tantalizingly named brew out there: Sweet Baby Jesus!, Dirty Little Freak, Everything is Taken. guinnessbrewerybaltimore.com, Halethorpe l The first Guinness Brewery on U.S. soil since the 1950s. Stop by for a meal, tour, pint or all three. Harmony Vineyards and Winery harmonywinemd.com, Parkton l Tastings and tours of this north country winery are available by appointment. Heavy Seas Brewing hsbeer.co, Halethorpe l Hugh Sisson’s Pub, Maryland’s first official brewpub, was followed by Clipper City Brewing Co., now home to Heavy Seas Beer. invernessbrewing.com, Monkton l Baltimore County’s first farm brewery makes its home on a 100-acre working farm with 50 black angus cattle and 600 thriving hop plants. Key Brewing Company keybrewing.com, Dundalk l Visit quaint Dundalk, which has earned a Maryland Main Street designation, and stop in Key Brewing, the town’s only brewery. pappascrabcakes.com, Locations in Cockeysville, Glen Burnie and Parkville l Once featured as one of Oprah’s Favorite Things, this family-owned company is famous for its crabcakes, which can also be ordered online. Royal Rabbit royalrabbitvineyards.com, Parkton l Baltimore County’s northernmost winery, Royal Rabbit takes a page from Medieval times, cultivating wines using the ancient processes. White Marsh Brewing Co./Red Brick Station ▼ redbrickstation. com, White Marsh l In the tradition of an English pub, Red Brick Station offers pub fare and White Marsh brews. andynelsonsbbq.com, Cockeysville l Former Colt Andy Nelson and family serve up what many call the best BBQ in Maryland. catonsvillegourmet.com, Catonsville l Chef Rob Rehmert specializes in fresh seafood dishes and offers raw and sushi bars in a fun, beachy setting. islandviewwaterfrontcafe.com, Essex l One of a handful of boat-friendly restaurants in southeast Baltimore County, owned by the Laing family for 50 years. The Milton Inn miltoninn.com, Sparks l This beautiful, upscale restaurant has wowed diners for more than 65 years. Perfect for special occasions. ◄ Bengie’s Drive-In Theatre bengies.com, Middle River l It doesn’t get more nostalgic than this … cars, big screen, movies, popcorn. Since 1956. National Lacrosse Hall of Fame uslacrosse.org, Sparks l For all of the lacrosse players and fans in the mid-Atlantic region, this national museum celebrates the best of the best. Lurman Woodland Theatre lurman.com, Catonsville l Free, summer weekend concerts are held in this beautiful outdoor setting. Beaumont Pottery beaumontpottery.com, Phoenix l Stop by and meet Jerry and Janet Beaumont, master potters and reputed to be some of the friendliest people in Maryland. Bill’s Music ▲ billsmusiconline.com, Catonsville l Since 1965, musicians far and wide have flocked to Bill’s, one of the largest music retailers on the East Coast. PA Dutch Market Cockeysville l More than 20 vendors sell meats, produce, baked goods, furniture and just about anything else you can think of. gramercymansion.com, Stevenson l This mansion was built in 1902 by Alexander J. Cassatt, president of the Pennsylvania Railroad and brother of artist Mary Cassatt. thewilderness.biz, Catonsville l This large stone home just west of Catonsville offers comfortable and welcome respite.